The Royal Canadian Navy (RCN) will begin replacing much of its fleet at the start of the next decade. To ensure that its fleet remains relevant over its thirty-plus years of service life, adequate platform growth potential must be factored into the design process of the new vessels. The RCN has 15 surface combatants: three elderly Iroquois-class destroyers and 12 Halifax-class anti-submarine warfare (ASW) frigates. The ships of the former class were all commissioned in 1972 and the first will not be replaced until 2020 at the earliest. The Halifax were commissioned between 1992 and 1996 and the last unit will remain in service until it is replaced in 2033. All replacement dates are based on current estimates and assume no delays – an unlikely assumption given Canada’s procurement practices and the intricacies of systems integration on a new hull – and assume, of course, that there will be no project cancellation. Regardless, even in a best case scenario the last Iroquois will have served for an astonishing forty-eight years, and the last Halifax for thirty-seven years. Today the RCN has a very different core mission requirement: expeditionary operations. For this type of mission, the Halifax bow gun is inadequate for naval gunfire support and cannot take advantage of a series of new long-range naval ammunition built for larger guns. This shortcoming is made more acute by the fact that a smaller system cannot simply be replaced by a larger one unless sufficient hull volume has been allocated in the design. A similar shortcoming is its air defense system. The Halifax-class has no vertical launch cell system (VLS). VLS is a launcher system that is built into the deck to allow rapid launch of munitions. Additionally, it makes more efficient use of deck space and the ships’ volume. The Halifax-class cannot be retrofitted with a VLS system as adequate platform growth was not designed to allow for it. Instead, it has two Mark 48 eight-cell launchers that can only launch the RIM-162 Extended Sea Sparrow Missile (ESSM). 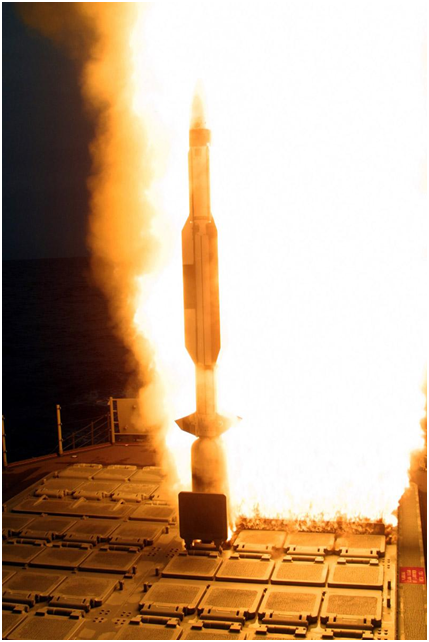 As surface-to-air missiles go, this is a short-range system that allows the frigate only to protect itself. A study of the Halifax-class frigate provides important lessons on why it is important to ‘design in’ platform growth on naval vessels – especially when they will be in service for many unpredictable decades. Perhaps the three-most important platform-growth requirements today are energy generation, deck space and internal volume, and VLS cells. Energy generation is important to ensure that the warship’s sensors, particularly its radar systems, can be replaced with more powerful, energy hungry sensors. Furthermore, it is quite likely that in the future naval vessels will be able to carry various types of direct-energy weapons (such as lasers) to deal with increasingly sophisticated and fast anti-ship weapon systems. To utilize such systems a warship must be able to generate sufficient electrical power. A SM-3 anti-ballistic missile is launched from a vertical launch system (VLS) cell. To use this system Canada will have to purchase the longest VLS system. Deck space, internal volume, and VLS cells are related platform growth priorities. As the example of the Halifax’s naval gun has made clear, if the RCN intends to at least retain the option of arming its vessels with long-range naval guns for littoral operations then it must at least ensure that sufficient deck space and internal volume is ‘designed in.’ Moreover, the flexibility VLS cells provide makes them a priority for all navies today. The American Mark 41 VLS system offers a system that comes in varying numbers of cells and varying cell length/depth. The latter is important as the choice of cell length/depth determines what munitions can be launched from it. 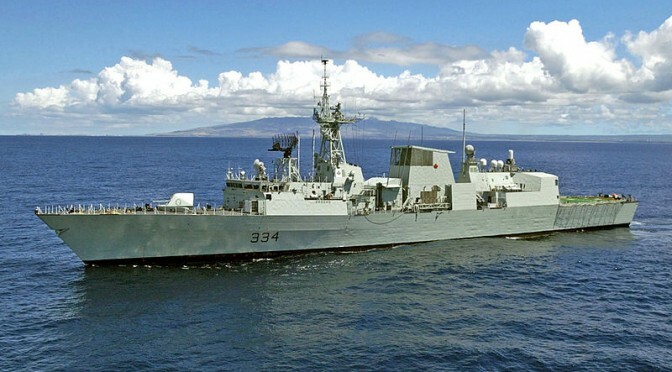 For example, should Canada procure a warship with the longest VLS length/cell, and if it hadn’t ‘designed in’ a margin of growth for cell length below deck, then it will be unable to ever fit its vessels with the current crop of anti-ballistic missile defenses and land-attack cruise missiles. This reduces the mission flexibility of a warship class and reduces their effectiveness over their service life. To overcome this, longer VLS cells can be procured or at least factored into the design – ‘designed for but not with.’ In a similar vein, space and volume can be allocated for VLS systems that can be added in the future. Given past experiences it is likely that Canada’s next-generation of naval surface combatant will serve many decades into the future. Given the increasing importance of littoral/coastal operations, climatic change in the Arctic, and the need to undertake expeditionary operations, it is paramount that any naval vessel be designed with sufficient platform growth in mind. By doing so, the RCN will be able to hedge against an unpredictable fiscal, geopolitical and environmental future. Shahryar Pasandideh is a third year student studying international relations and Middle Eastern studies at Trinity College, University of Toronto. He is interested in contemporary debates on grand strategy, maritime security, Sino-American and Sino-Indian strategic interaction, and the military balance in the Persian Gulf region. Any views or opinions expressed in this article are solely those of the authors and the news agencies and do not necessarily represent those of the NATO Council of Canada. This article is published for information purposes only and was re-posted with permission from the Atlantic Council of Canada from its original form.